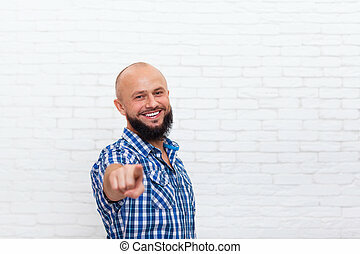 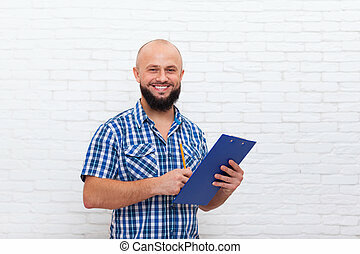 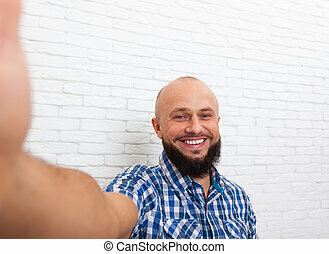 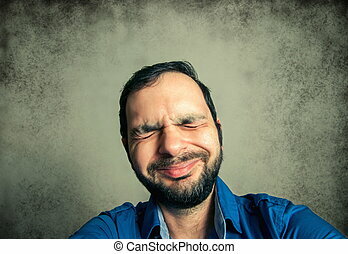 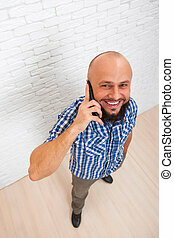 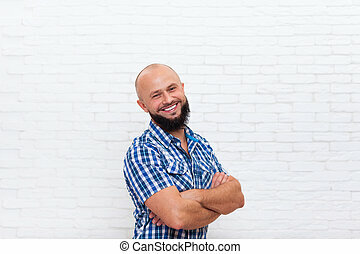 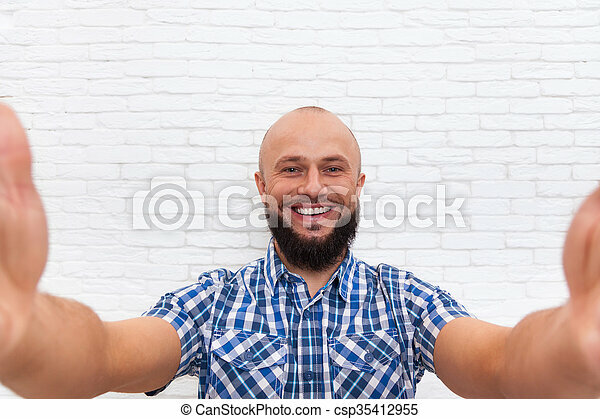 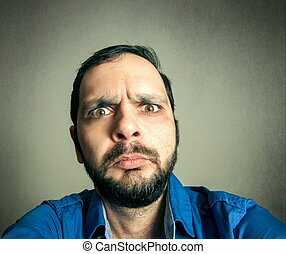 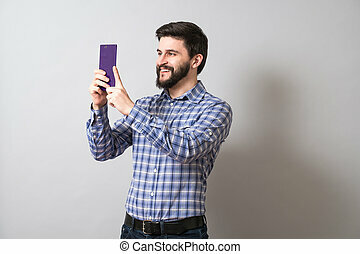 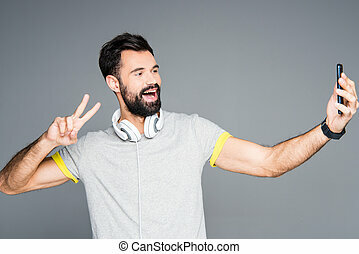 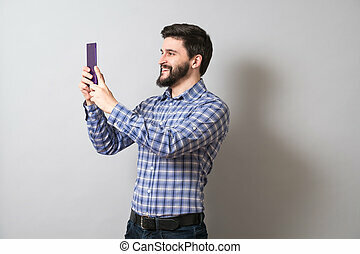 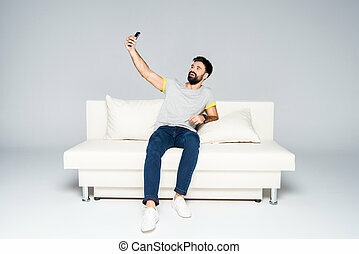 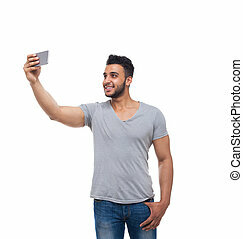 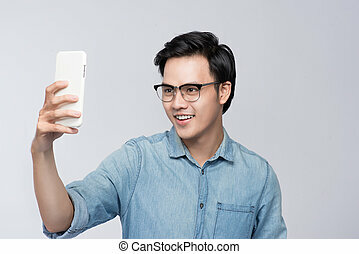 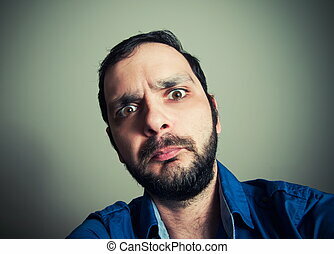 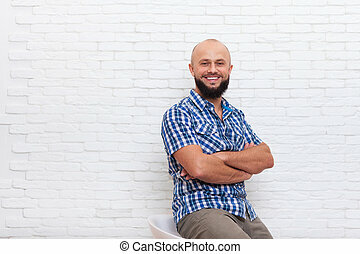 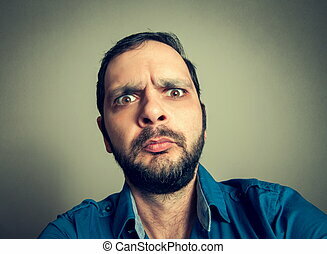 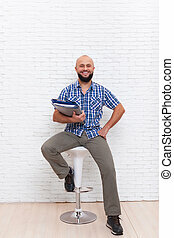 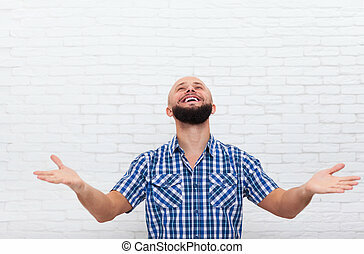 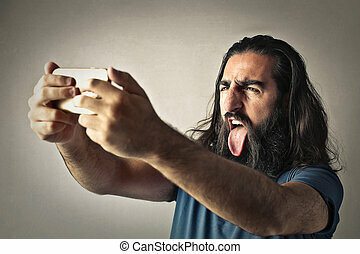 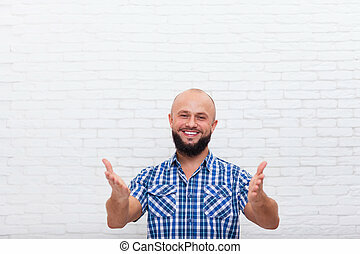 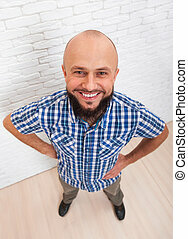 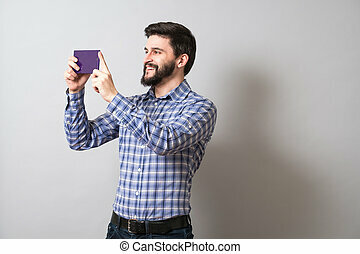 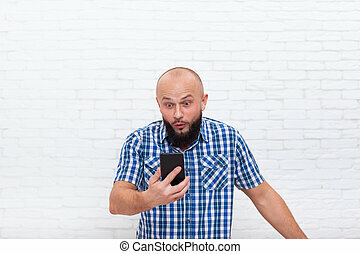 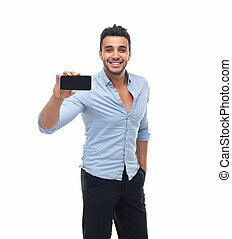 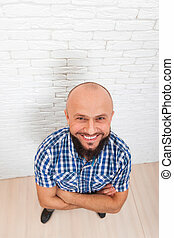 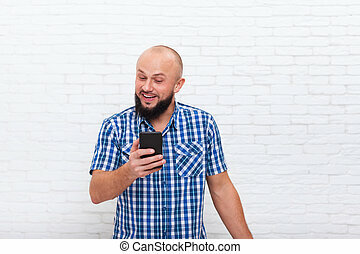 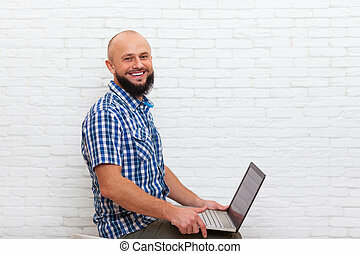 Casual bearded business man taking selfie photo office over white brick wall. 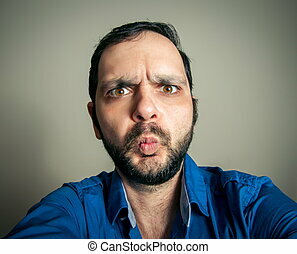 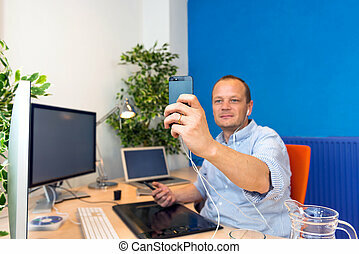 A business man taking a selfie in his clean and paperless office. 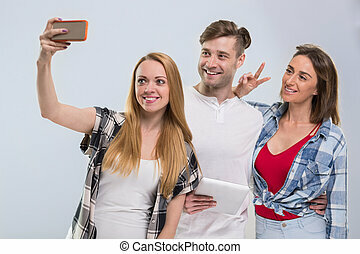 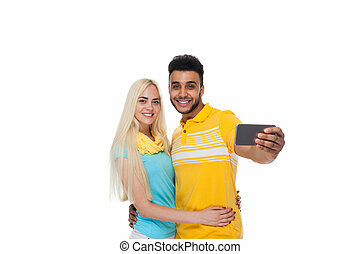 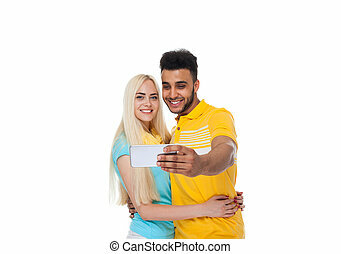 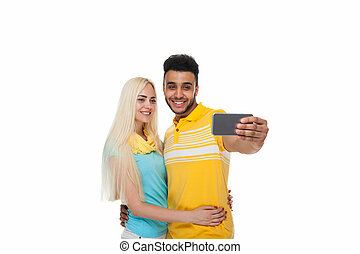 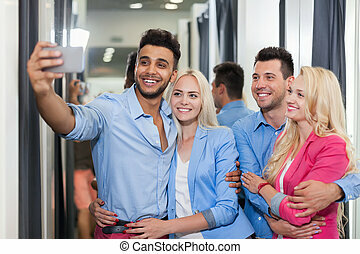 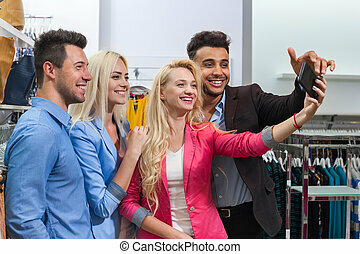 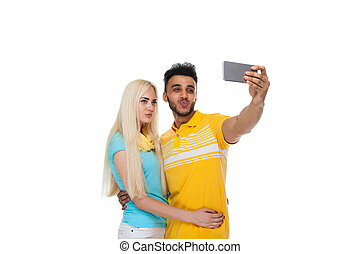 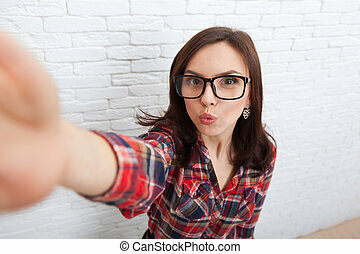 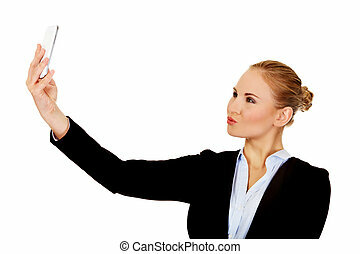 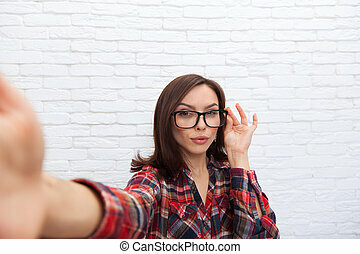 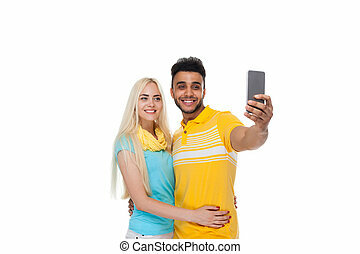 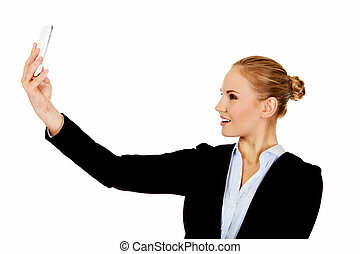 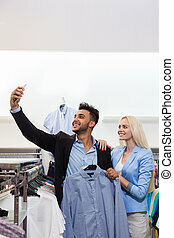 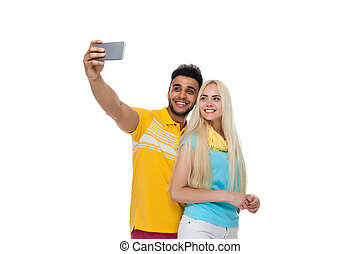 Happy business woman taking selfie photo smartphone.